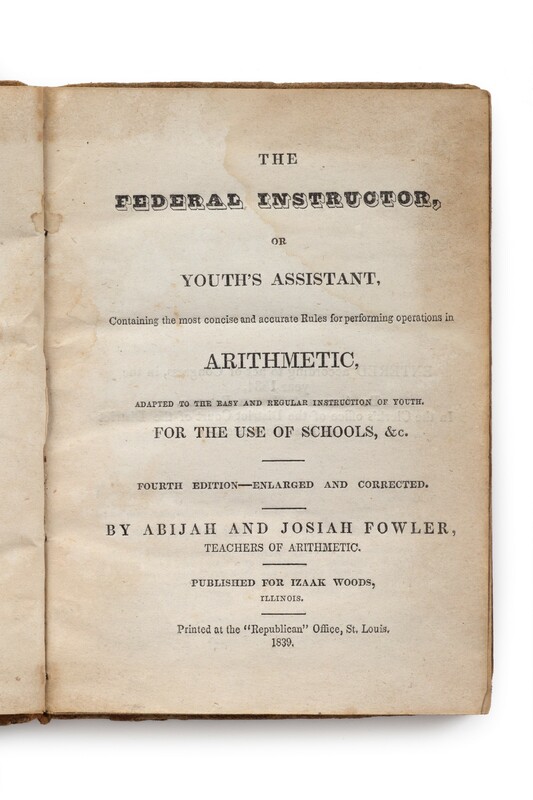 A substantial collection of American textbooks of arithmetic, algebra, and geometry, including representative selections of primers combining lessons in spelling, reading, and writing with arithmetic, designated for use in schools, academies, and lyceums; textbooks of natural philosophy, astronomy, and mathematical geography specified for use in colleges; and ready-reckoners and other books of tables intended for tradesmen. 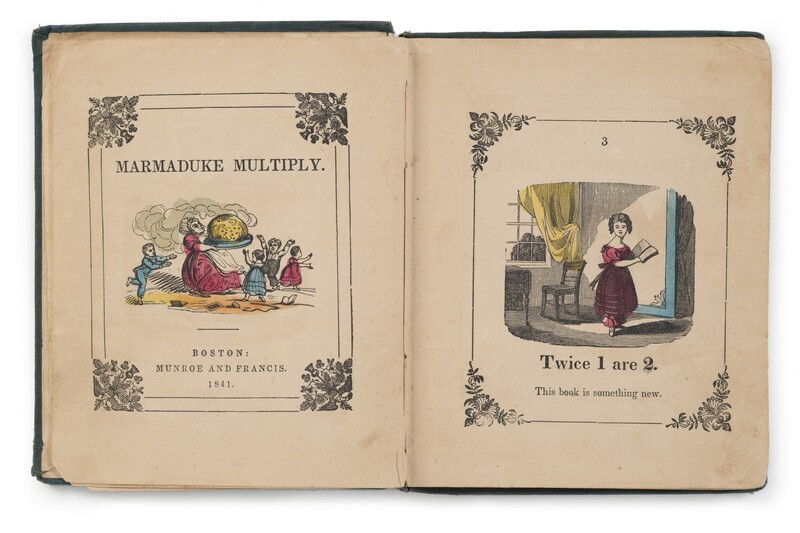 Although textbooks for all levels of instruction are offered, the collection is strongest in those prepared for use in elementary and secondary schools. 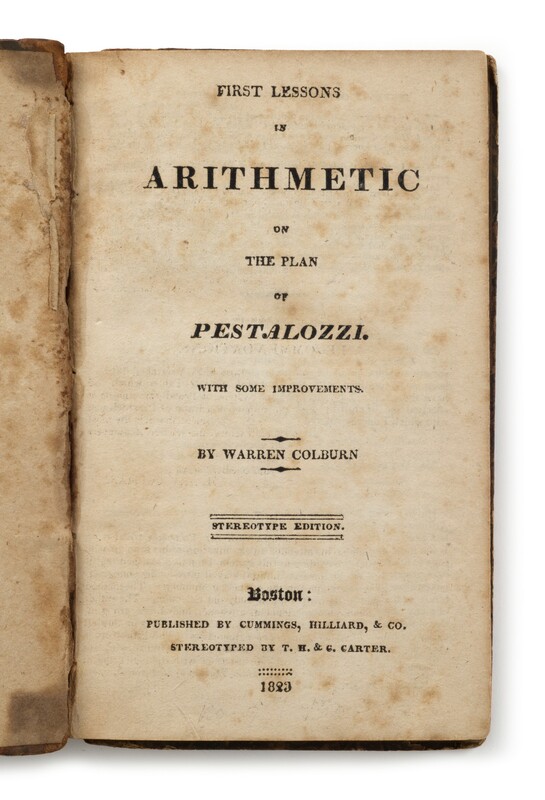 The reform of mathematical education through the introduction of “Pestalozzian” or child-centred methods of instruction is thus amply documented. 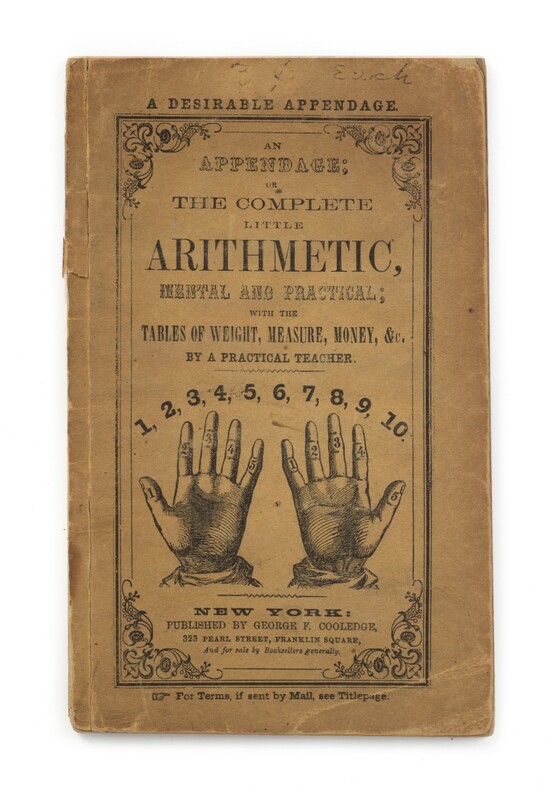 The collection was built using as a guide Louis C. Karpinski’s magisterial Bibliography of mathematical works printed in America through 1850 (Ann Arbor 1940, with three supplements published 1941-1954). 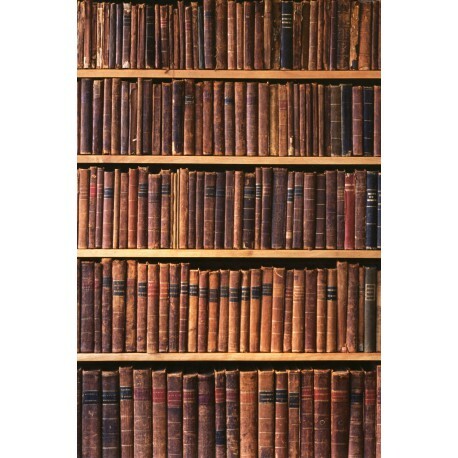 Karpinski investigated the holdings of more than one hundred libraries and found that nine had purposefully collected in this field. 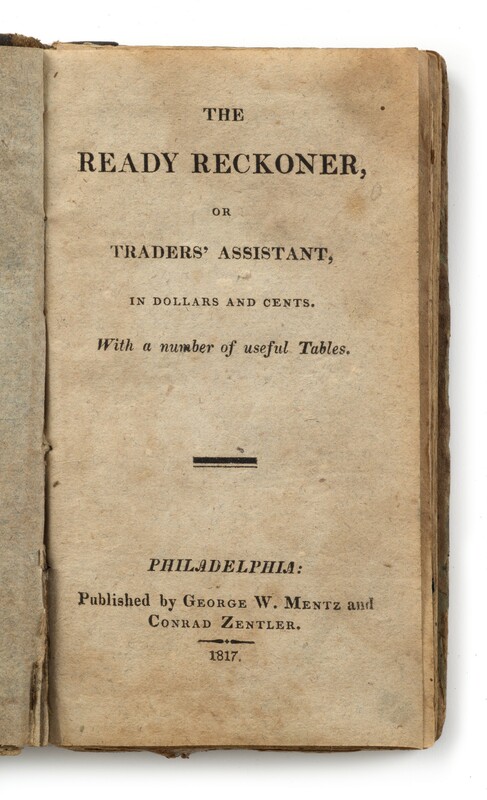 According to his tabulated analysis, our collection would have occupied sixth rank, nearly approximating the holdings of Columbia University, exceeding those of Boston Public Library and New York Public Library. 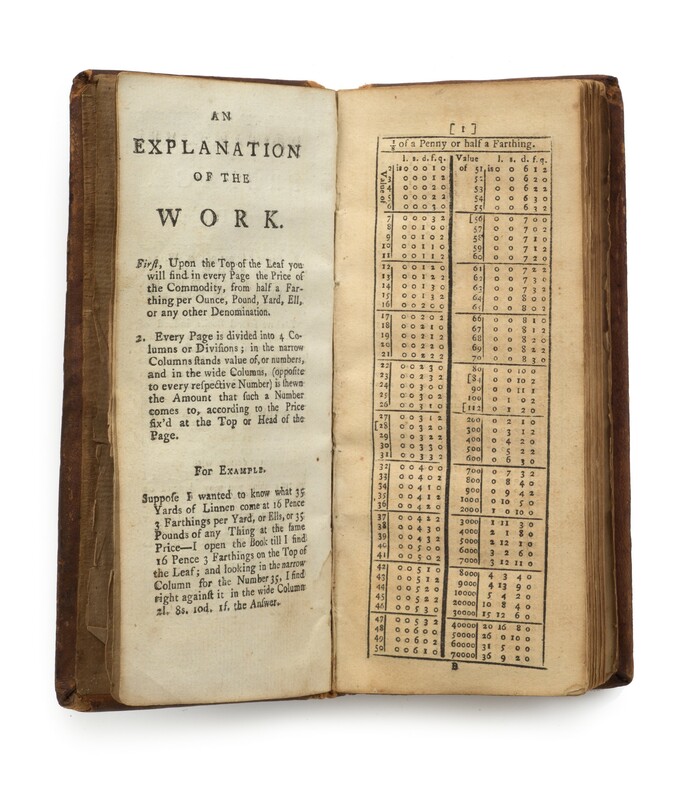 We offer 269 different works, plus 192 subsequent editions, for a total of 511 printed books, and in addition five manuscript ciphering and exercise books. 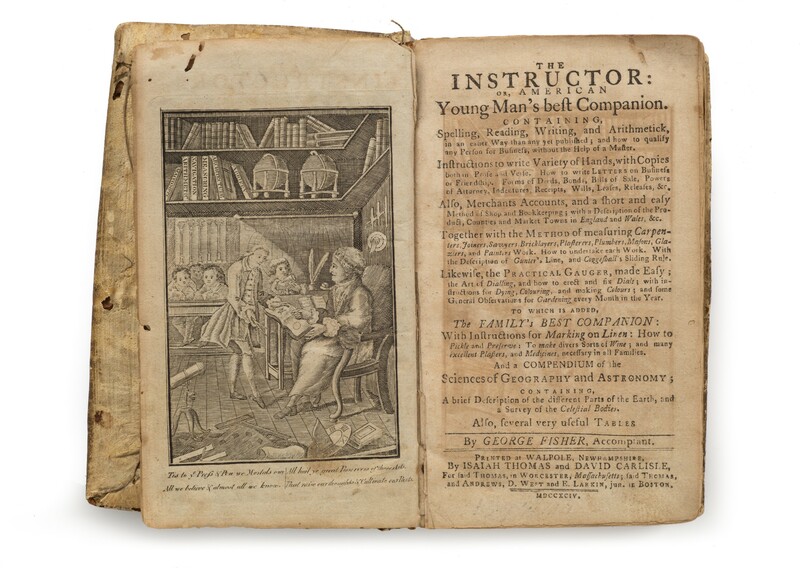 Thirty-three eighteenth-century books are offered, fifty-five printed 1801-1810, sixty-five printed 1811-1820, ninety-five printed 1821-1830, 129 printed 1831-1840, 124 printed 1841-1850, and ten printed post-1850. 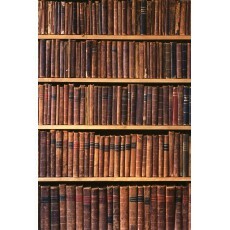 Forty-one books in the collection are editions not recorded by Karpinski. 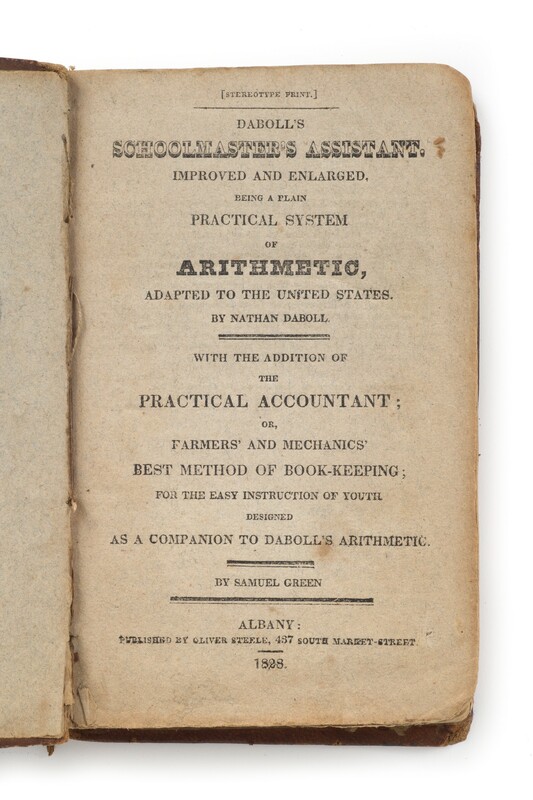 Twenty-six books represent editions not yet recorded in the American Bibliography 1801-1819 (New York 1958-1966) and Checklist of American Imprints 1820-1844 (New York, Metuchen & London 1964-1993), the principal bibliographical tools available for the study of nineteenth-century American books. 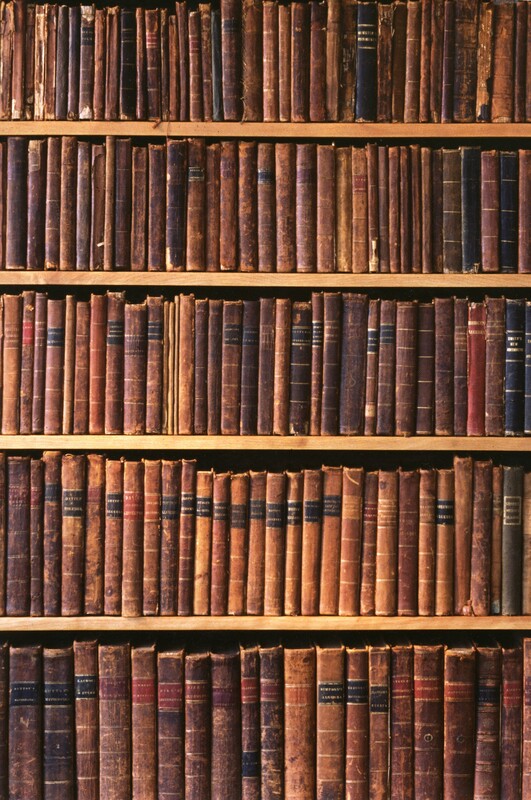 Another seventeen books in the collection have imprints different to those stated in the Checklist. 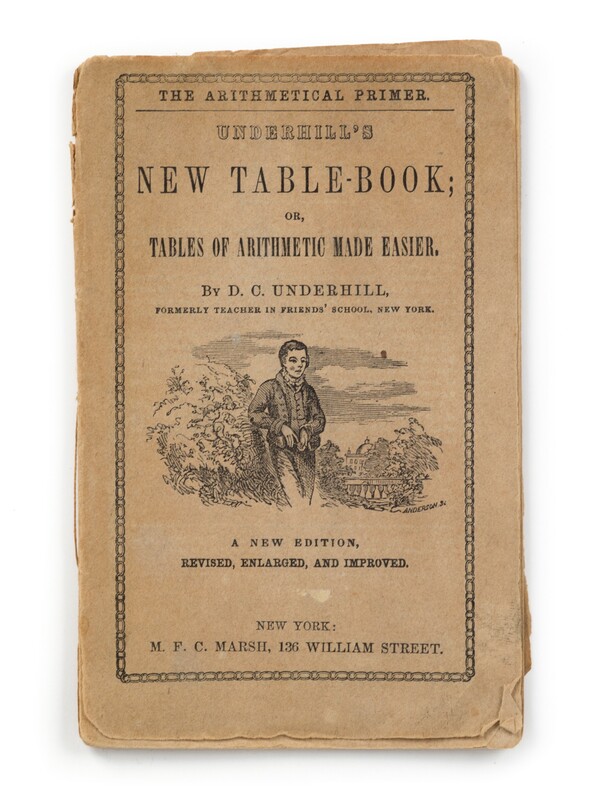 With few exceptions, the books are offered in original condition and in original bindings, and the collection is thus of interest also to historians of the book. 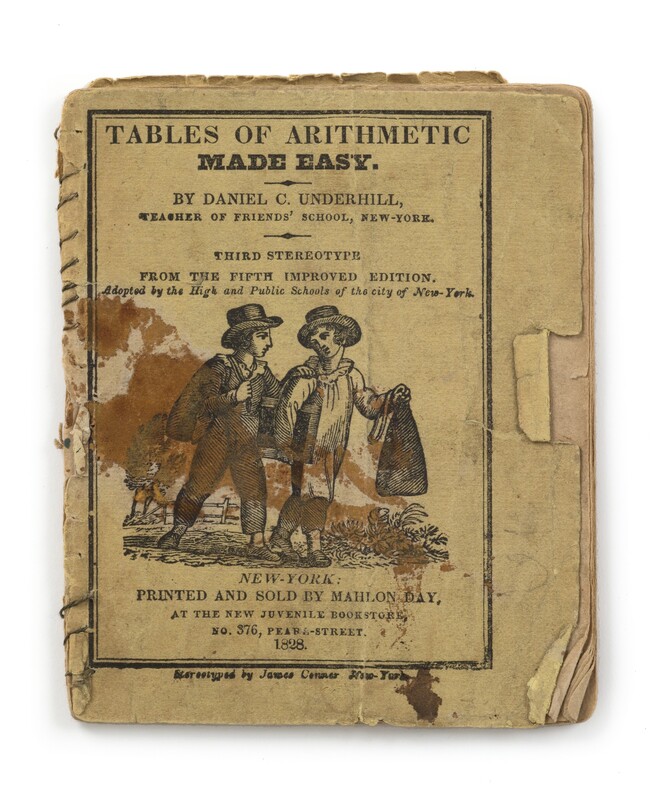 Textbooks published in the period before 1820 commonly were offered in three styles of binding: scaleboard (a shingle of wood, backed with leather, finished with either blue paper or marbled paper on covers), leather-backed boards covered by marbled paper, and full leather. 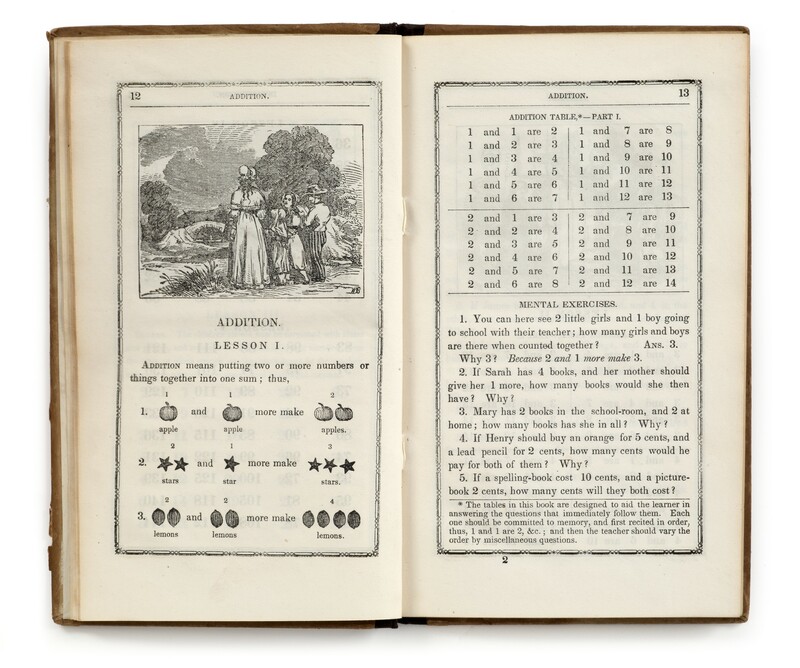 In this collection, twenty books are in scaleboard bindings, forty-five in paper boards finished with marbled paper, and 259 in full-leather, the most expensive (and durable) binding. 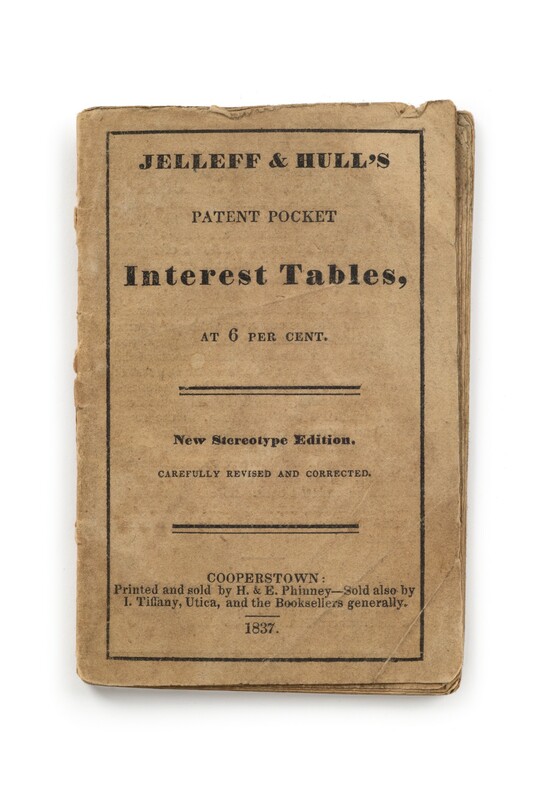 About 1820, a type of publishers’ binding with printed covers became popular. 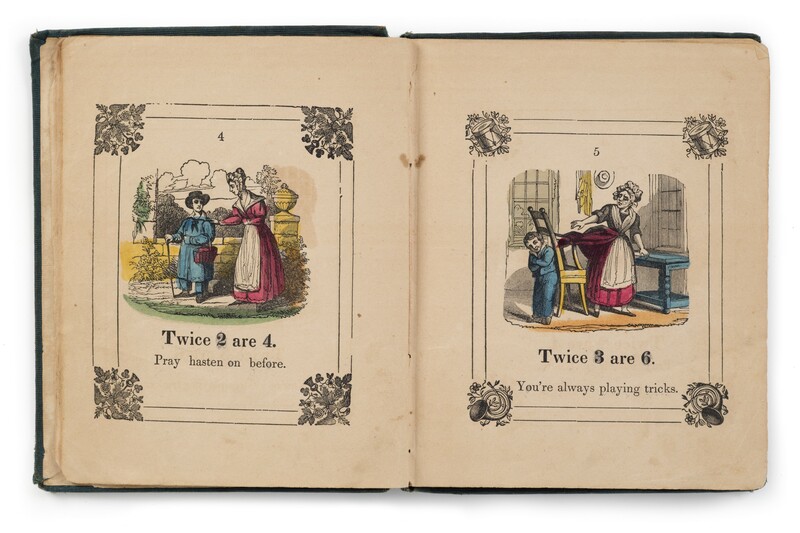 Eighty-nine books are in such bindings, the earliest published in 1815, and several of these binding contribute valuable bibliographical evidence. 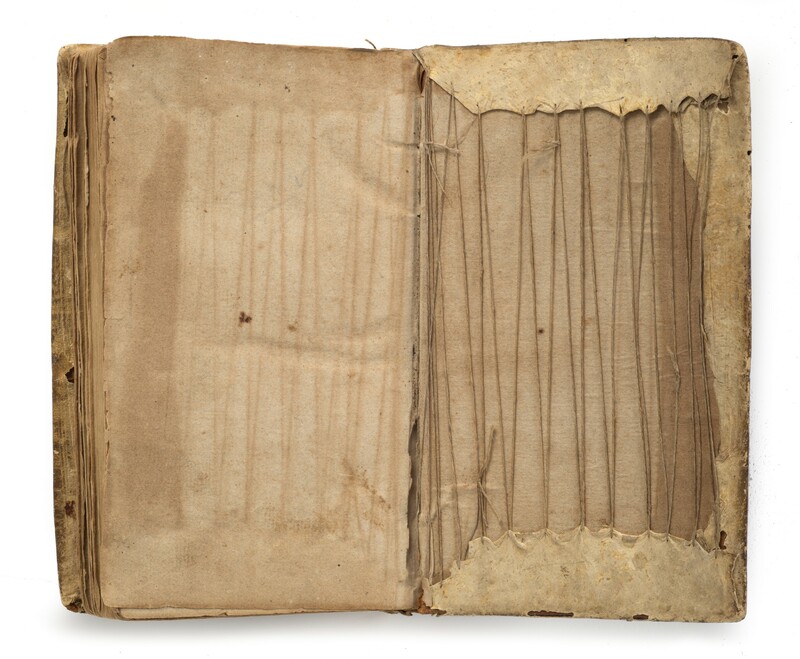 A few books still retain coverings in cloth and paper fashioned by pupils to protect them from wear. 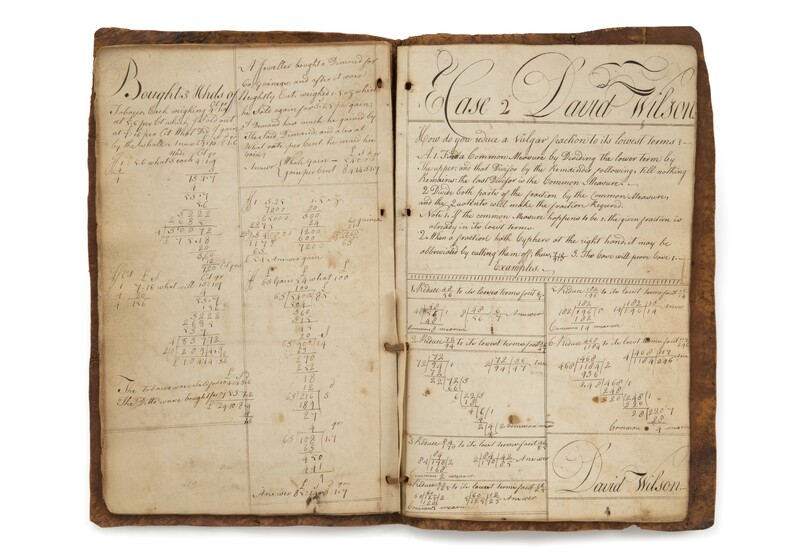 As a rule, textbooks have been inscribed, drawn-on, or otherwise marked, more consistently than most books, by readers who are not usually purchasers. 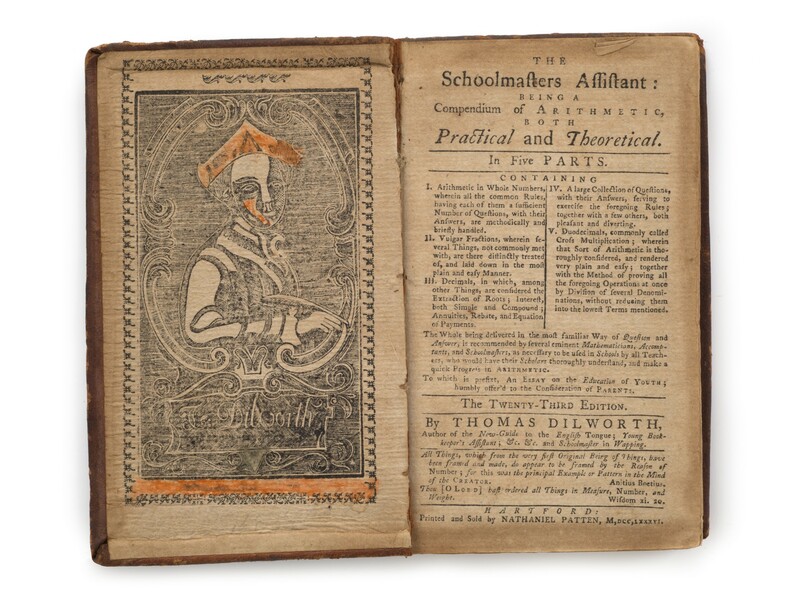 Few owners failed to write at least their names on the endleaves; many pupils added incantations against borrowers and thieves of books, sentimental verses of affection to other students, comments upon their classmates and teachers, drawings, rubbings of coins, pen trails and scrolls. 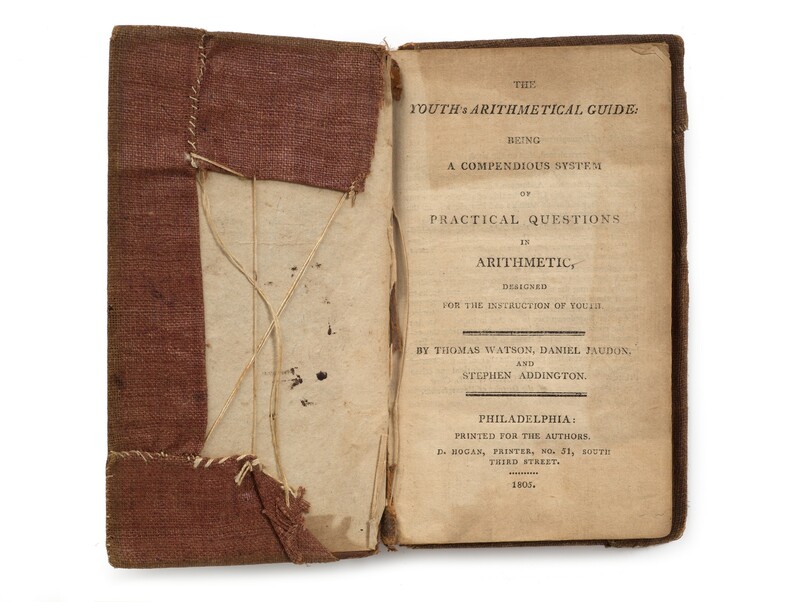 Textbooks preserved in libraries are routinely rebound and this evidence of ownership discarded, to the detriment of scholarship. 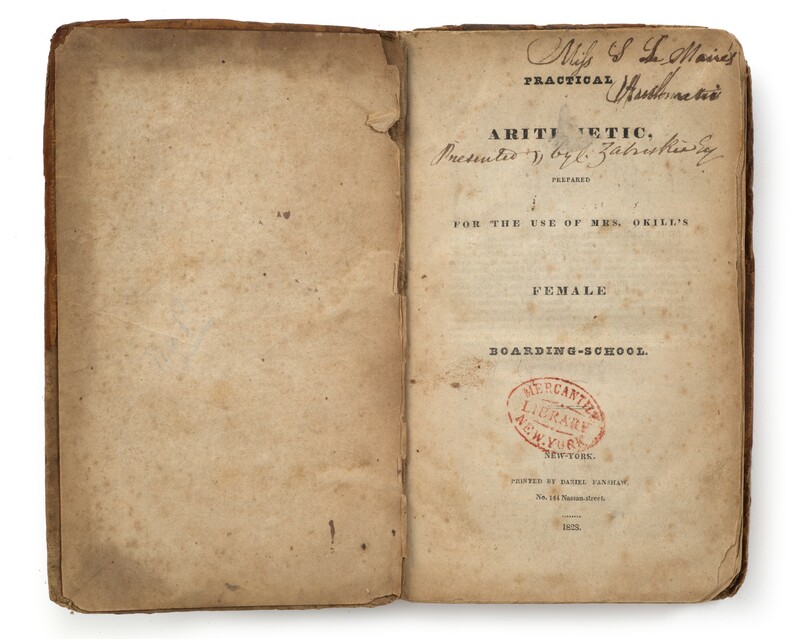 For example, forty books in this collection have ownership inscriptions by girls. 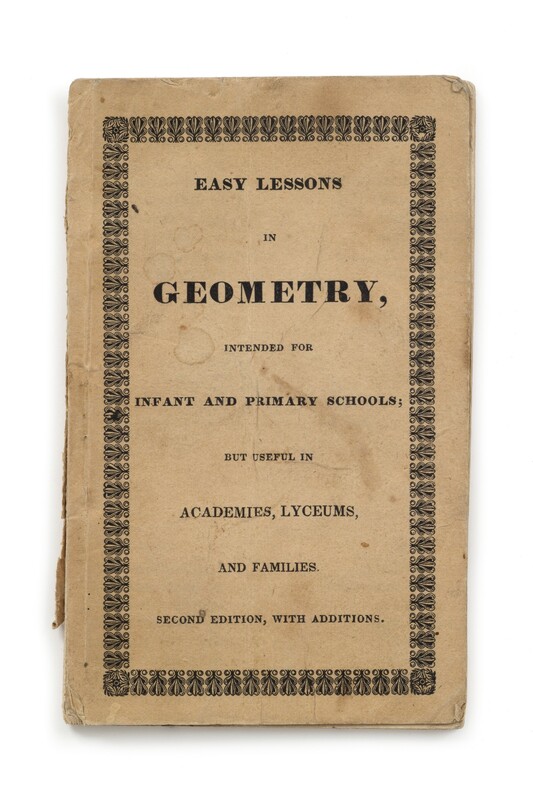 When mathematics became inserted in the elementary curriculum, it was taught to boys and girls alike, however girls did not progress to study algebra and geometry. 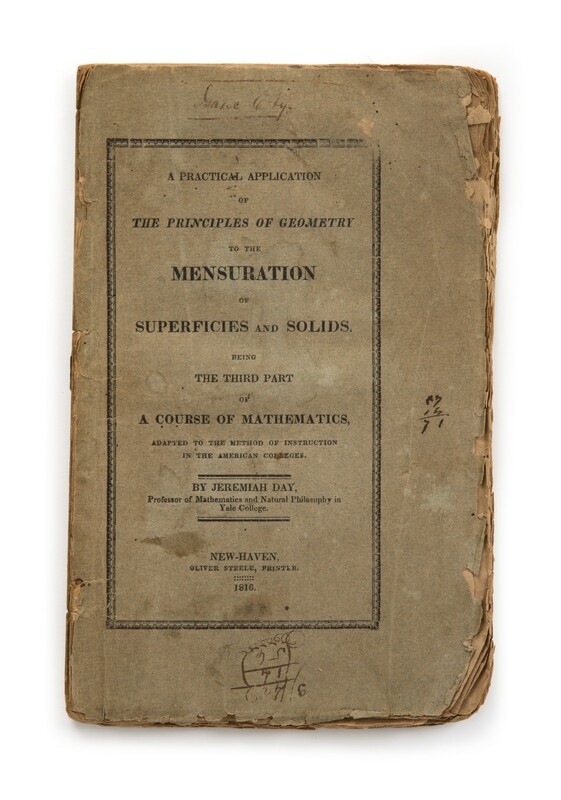 Ownership entries in books in this collection suggests that the moment of transition, when the stereotype of the non-mathematical feminine mind eroded sufficiently for algebra and geometry to be taught to girls, occurred about 1840. 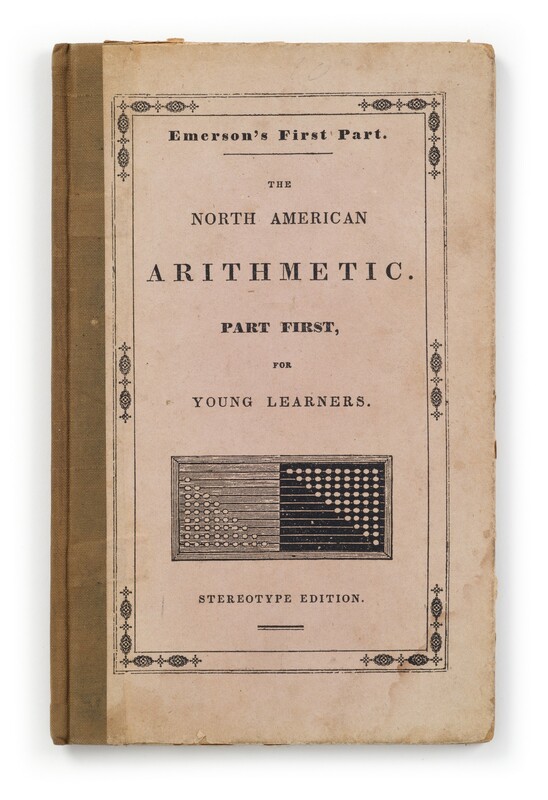 This early date contradicts suppositions about the elementary curriculum made recently by several historians. 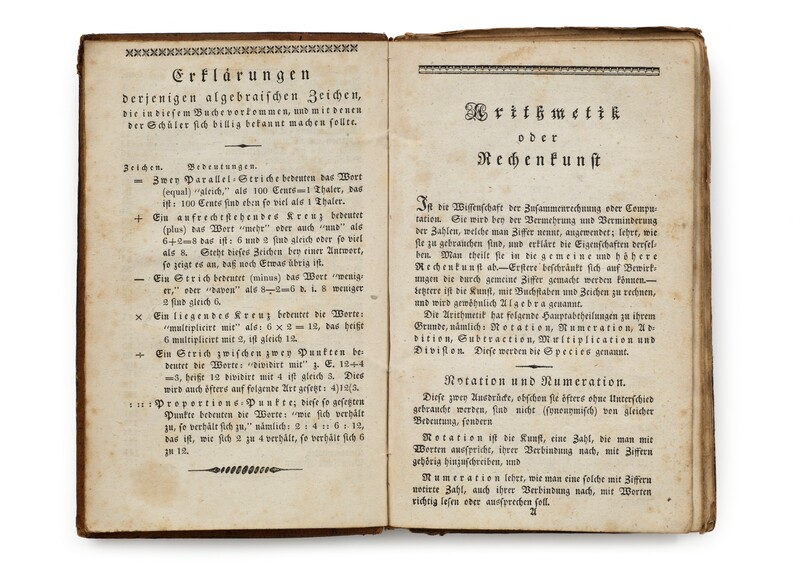 For additional information, click the PDF icon above.